In addition to being Ken’s Finnish trainee with nothing to say and a sense of humor of high quality (haha), I work as a Personal Trainer in a commercial gym chain. 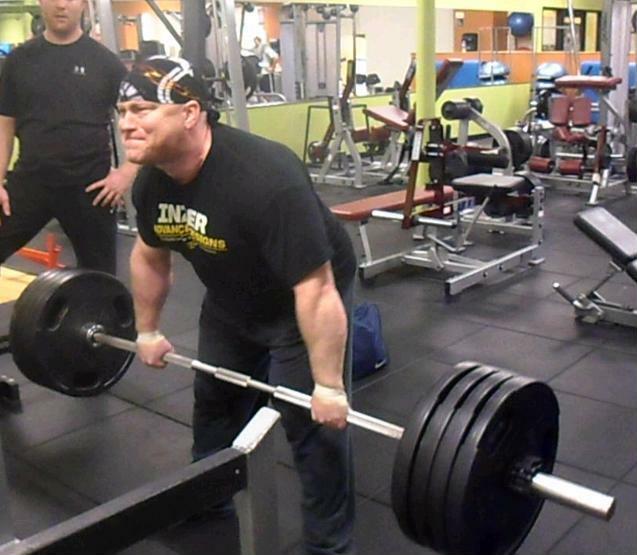 Being a powerlifter and a commercial gym PT is not the most typical combo, at least not in Finland, but I like teaching the main lifts to “ordinary” people, help them with their goals, and make their training effective, simple and safe. And I help them get stronger if that’s what they want, of course. Of all the lifts, I love squats the most. It’s maybe not my best lift in kgs (or lbs) but it’s what I enjoy the most. 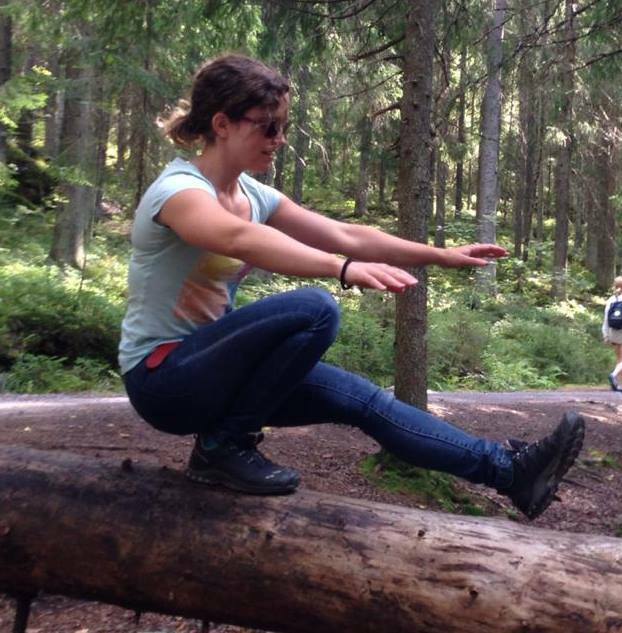 Squatting makes me feel strong and empowered! If I were asked to choose one thing to do at the gym, it would be squats. Consequently, as a PT, I make almost everybody squat… Wanna build muscles? Let’s squat! Wanna lose weight? Let’s squat! Wanna get stronger? Let’s squat! Wanna improve your mobility? Let’s squat! Wanna do functional training? Let’s squat! Wanna improve your overall health? I’m sure you can guess the answer to that… Ok, Ok, I have had clients who have wanted, for example, to bench press with me. 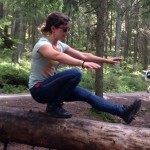 We haven’t squatted… And the type, intensity and volume of the exercise vary, too, of course. The typical member I meet at the gym is a woman, 30-50 years old, no experience at the gym but loves group fitness classes. Oh boy they love their classes! Not that there’s anything wrong with that but typically they think that they don’t need resistance training for anything because of them. Yes, they have almost all done strength training when I ask them (I believe everybody needs some strength training and you can learn Finnish and read an article I wrote about it recently in my own blog – Life Worth Lifting)… They have taken BodyPump classes. These women I work with have learned to squat in BodyPump classes, too. Or should I say they have not learned to squat in the BodyPump classes? Many of them say they have experienced knee pain. When I see them squat, their technique is bad. However, I believe Ken is working on an article about knee pain, so I won’t go there more profoundly. But I would go as far as to say that it’s because of BodyPump that their squats look terrible. They have taught themselves a wrong way to do it there. Before going any further, I should probably explain what BodyPump is. Many of you have probably heard the term and have a general idea but to make sure we’re talking about the same thing, I will tell you about the concept. When we get to the critique part, and we will get there, you will notice that most of it could be said about any type of group fitness class and about any technical lift, or about just not having squatted ever. The problems are not unique to squat or to Bodypump. But BodyPump has been what I have come across the most. Before continuing, I also want to add that I don’t intend to bash BodyPump. I will question some things they say about BodyPump’s benefits but I do think it can be fun (if you like that sort of things, I don’t) and it’s a way to get people moving – and that’s a huge thing nowadays when the rate of obesity and other health problems is alarming! For that I’m grateful. According to the Les Mills site (http://www.lesmills.com/), BodyPump is a weight-based group-fitness program. Classes are 60 minutes long and contain eight separate muscle-group specific songs or tracks: warm up, squats, chest, back, triceps, biceps, lunges, shoulders, core and cool down. BodyPump classes use both compound and isolation-based exercises and in addition to squats, deadlifts and presses are used. Participants choose their weights based on the exercise and their personal goals but they are performed using plates, barbells, dumbbells and an aerobic step. The classes are exactly the same all over the world, wherever you go the program is the same and not modified by the instructor. The focus is on muscle endurance using several repetitions. And what are the claims I mentioned they make on their site? I know, this might seem like I’m getting sidetracked and more about BodyPump itself than squats and BodyPump. However, this is an article about BodyPump, too, and I do want to say a few words about that. I’m sure you BodyPumpers out there think when reading this that maybe I won’t learn to squat but I will get the other benefits… Nope, you won’t. So let me tell you what the claims are and how they are not working. I did promise to question them, didn’t I? Yes, you will burn calories and work all your muscles, that is true. But lifting heavy weights with proper technique would be more effective for building strength! Or have you heard of a strength athlete using only the rep effect? As they said, focus is on muscle endurance. And that is probably why I don’t find it fun – with my attention span SO MANY REPS is boring… But fortunately we are all different! Lifting heavy weights is more effective for shaping your body, increasing core strength and improving bone health (I won’t go there now, otherwise this will become too long of an article, but as I said before: you can learn Finnish and read about in my own blog – it’s all in the Why Everybody Needs Strength article). Getting lean, on the other hand, is mainly about your diet. If you want to lose fat, you need to pay attention to what you put in your mouth. It’s as simple as that, although finding the best diet for you might not be a simple task. Develop lean, athletic muscles and not adding bulky muscles? Let’s get this straight: all muscles are lean. That’s what they are: muscle, not fat. If you look bulky, however, it’s often about fat on top of the muscles, not the muscles themselves, or about your how you see yourself. Unfortunately it is not uncommon to have a distorted body image. The shape of your muscles is genetically determined, too. They have a certain origin and a certain insertion. You might be able to affect their length a bit but you can’t change those facts or grow longer bones. So you can’t get significantly longer muscles with a certain type of exercise. Not Yoga, not BodyPump. Furthermore, quantity does not override quality. Doing 800 reps or four times the amount you can do on your own is somewhat pointless in my opinion. Do quality workouts aimed at your goal, and if training alone is a problem, get yourself a good trainer. 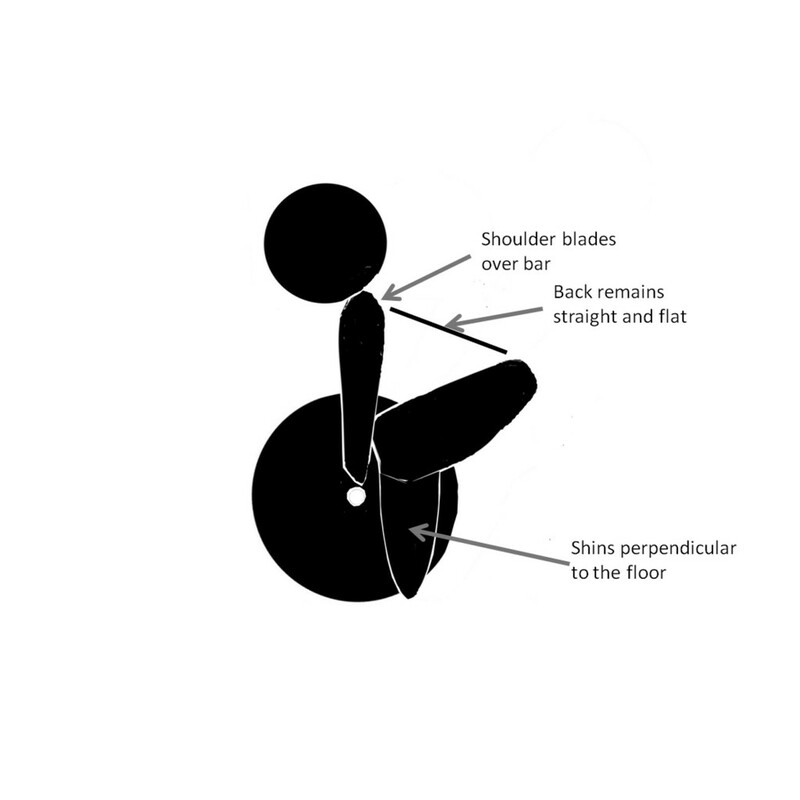 Why Does BodyPump Make Women Squat with a Bad Form? As I said in the beginning, the problems are not BodyPump-specific or exercise-specific and they are not gender-specific, either. It just reflects my experiences: I have met many women who have done BodyPump classes and do not know how to squat. The main problem is that there are so many people in the class. If you have 50 people doing the class and the squat song lasts 5 minutes, you cannot possibly teach everyone how to squat or go correct their form. The instructor is supposed to show the participants what to do, too, and as far as I know, getting off the stage is limited in the BodyPump concept. So basically what you can do is try to get an eye contact and tell the participant to keep their heels on the ground (or whatever it is you want to tell them). All the instructors do not have enough knowledge to correct people, either, but that can be said about trainers and coaches, too. And there are good instructors, too! As the lifts are performed to music, some reps are really fast. When you squat to every beat (fortunately you don’t do that throughout the whole song), the movement might not be controlled anymore. You are just going up and down and sweating and hoping for the track to end. Technique is not what you have in mind anymore and quite likely your core will get loose, too. Furthermore, when a trainer/coach works with people and sees them lift, they can spot weaknesses that need to be addressed. It might be related to muscle strength and they might have to work on posterior chain or core (although squatting is a good cure for that, too: you can get better at squatting by squatting). In BodyPump classes it is not possible because of the concept: the instructor is not allowed to change anything. In group fitness classes in general it is not possible because of the amount of people. You cannot address one person’s individual issues while the 49 remaining participants have different needs. Sometimes the attitude is also a bit towards “thank god these weights are so light that participants won’t really hurt themselves”. And in a class like this, where you can’t teach and correct, the weights do need to be light and in that sense I think the rep effect is a good one to use. Though bad form even with light weights can lead to injuries or at least to back or knee pain. In addition to that, once you learn to do something, it is difficult to change the pattern. 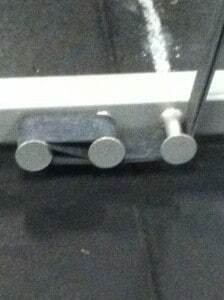 So trying out heavier weights at the gym with that form might lead to an injury even if it doesn’t happen in the class. This can be said about anyone who doesn’t know what they are doing, though, whether they have taken any group fitness classes in their life or not. What Are the Most Common Problems I Have Encountered? And to finish this short and compact article off, I’ll summarize briefly (yeah right) the most common squat problems I have encountered. However, this is not a comprehensive list; it doesn’t cover all the problems and certainly doesn’t apply to everyone. It doesn’t give definite answers, either. They are not the only ways to start correcting. So even though I will name a few things I often do with my clients, it’s not all we do. It always depends on the person and their problems and weaknesses, and they are often more complicated. We probably need to fix more than just one thing. And I won’t even go to muscular weaknesses or mobility issues! So this is just a quick overview and I will only talk about basic technical aspects. 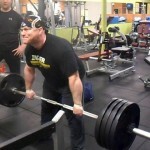 First, when we get to squatting with a barbell, I need to teach people how to unrack and rack. That’s not where we usually start, though; many of them cannot handle the 20kg bar yet, so we use lighter bars/ kettlebells/ dumbbells or do bodyweight or assisted squats. But when we get there, if I let them just try it out without showing them first, they quite often lift the bar from the rack with their hands, press it up and then put it down to their shoulders. Similarly, racking starts with a version of a behind the neck press. That’s what they have done in BodyPump classes with those light weights. There are no racks or squat cages there. However, it can get dangerous with heavier weights! And as legs are stronger than arms, especially when it comes to women, you cannot even use a heavy enough weight for really working your legs if you need to press it up first. 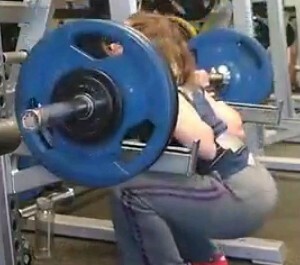 But that is a more advanced problem, when the squatting technique is good enough for adding more weight. Myself I cannot press overhead even half of the weight I can squat. The second problem is the placement of the bar. It is often on their neck, pressing the spine and vertebrae. Maybe that wasn’t a problem with lighter weights, but having heavy weights on your spine will hurt you for sure. The next issue is that people believe the right stance is a narrow one, toes pointed directly forward. While it may work for some, many of the people I have squatted with have not had the mobility for that. So when I tell them to widen their stance a bit and turn their toes a bit outwards, I hear the ‘this is not how they told us to do it in the BodyPump classes!’ comment. The surprise is even bigger when I tell them to push their knees out. However, when I ask them ‘Did it hurt your knees now?’, the answer is usually ‘No’. And that is a surprised ‘No’, too! It is also common to lift heels up from the floor and lean forward, or to be afraid of going low, even if strength and mobility would allow that. The range of motion is very short. What I have found effective is doing front squats and box squats. Front squats are kind of self-corrective and prevent leaning to a certain extent. It is easier to find the pattern with front than back squats. When people shift their weight forward, box squats help, too, as people need to hit the box behind them. If it is about a mental block, about being afraid of falling down onto the floor, or about not finding the depth, box squats are beneficial again. The box is there to catch you, though it’s rarely needed, and tell you the correct depth. These are not the only reasons to use box squats or front squats, so if you see people doing them, don’t expect they have above mentioned problems. They are effective exercises on their own, too. So, in a nutshell, what I wanted to say with this article is that if you don’t know how to squat but squat anyways, you won’t get the benefits and may injure yourself. While BodyPump can get you up from the couch, it is not the best way to strength train, tone, get leaner or build muscle. And it is definitely not the best place to learn to lift! Quite the opposite, if you do it wrong, the instructor cannot really correct you. They cannot help you to address your weaknesses. You will quite likely learn it wrong. That is why in my opinion BodyPump makes women squat with a bad form. It’s like the old question ‘How many times a week should I train?’ If your way of training is bad, the less you do it the better. Learn to lift and definitely learn to squat but do it with a good PT or coach! Then, when you know what you are doing, you can do BodyPump every now and then if you want to work on endurance. In addition to being a Personal Trainer, Katja is an up and coming Elite Raw Powerlifter in Finland. She holds regional records and has won the Southern Finland Regional Championships. She has placed 4th in Finnish National Championships. You all will love today’s tip. It results in larger ego muscles, a huge upper body, and most importantly, when these results cause people to ask ‘how much do you bench’, you actually can say ‘a lot’ (I don’t , however, recommend using that exact reply to customs agents…or other law enforcement agencies, they generally aren’t amused…so I’ve heard). I call this the non-bench training to train your bench. I generally don’t follow workouts you find in the literature. I don’t believe in one size fits all workouts, and feel a lot of them are posted to sell magazines or web site views. I also generally don’t believe in ‘workouts’. Notable exceptions are some of the proven strength training program templates you find out there and, of course, BWOW. That painfully long introduction is to say this isn’t going to be a workout plan. It is meant to tell you what to train to build a bigger bench. Pectorals do not build a big bench. 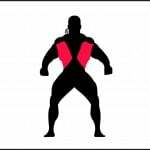 Your pectorals are simply one piece of the puzzle. A powerful bencher has learned how to turn their entire body into a bench pressing machine. Your pecs help you drive the bar off the chest, but they do not do it alone. If you do not have a powerful back, your press off the chest will be weak. Did I mention that if you do not have a powerful back, your press off the chest WILL be weak? A powerful back gives you stability at the chest. Working jointly with your biceps, it allows you to control the bar as you bring the bar to your chest. Pressing with a strong back is like pressing off a granite slab, it helps you thrust the bar explosively off your chest. 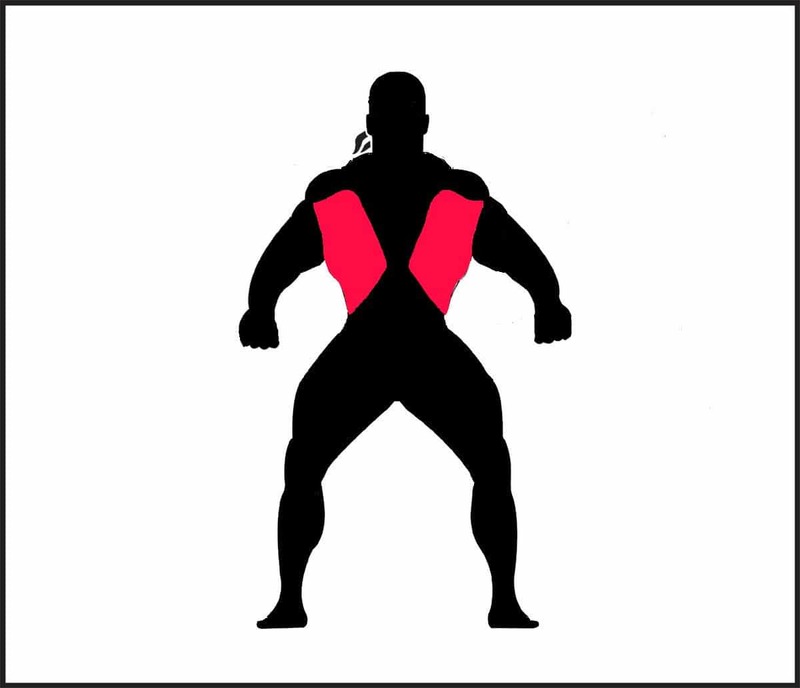 A strong back is also responsible for a huge upper body, and the classic v-taper. How do you put this knowledge into action? A good training program balances upper body pushing with upper body pulling. You should have as many pulling sets in your weekly program as you do pressing sets. Given it is a smaller muscle group, your triceps don’t (necessarily) warrant as many weekly sets as pushing or pulling, but they do warrant more than the finishing isolation exercise on chest day (and they really should never be insulted with tricep kickbacks). Include at least 3-4 sets of a compound lift for the triceps, and then finish them off with the isolation exercises. Including the right non-bench bench press training in your program will build an impressive bench press as well as an attention getting, balanced upper body build. This tip is quite honestly the easiest way there is to add weight to your bench. It’s a relatively simple technique tweak, and doesn’t require any increase in strength (although a BWOW circuit will help considerably). Squeeze your shoulder blades together as you bench. How can squeezing my shoulder blades together increase your bench press? 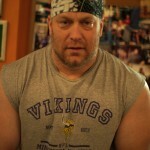 Whenever I’m helping someone new with the bench press, the first thing I watch is the shoulders. Most untrained benchers don’t pay attention to their shoulders as they bench. They simply press the bar up haphazardly. Their shoulders remain loose throughout the lift and they often raise them off the bench with each rep. Even those who keep their shoulders on the bench for the easy reps begin lifting them as they tire to push the bar up. Squeezing your shoulder blades together tightly keeps your shoulders on the bench and reduces the range of motion of the press. If a movement does not add to the power of your lift, or does not make you bigger or stronger it should be eliminated. The thing to realize is that the bench press is complete when your elbows lock, it does not matter how high you press the bar. Lifting your shoulders off the bench to raise the bar higher is wasted motion. It wastes energy and distracts you from completing the lift. Instead of pressing the bar up, concentrate on locking your elbows. This prevents you from lifting your shoulders and helps you engage your triceps decisively to finish the lift. 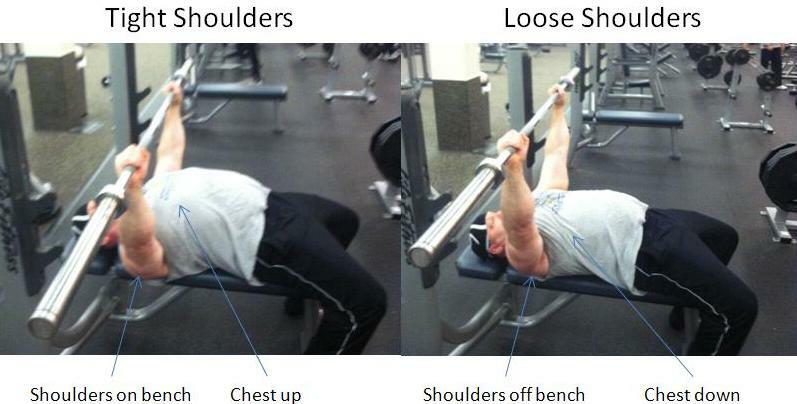 How do you maintain tight shoulders throughout your bench? Plant your shoulders on the bench. Find your hand and foot position, and drive your CHEST UP. Once you have your lifting position on the bench, squeeze your shoulder blades together and continue squeezing them throughout the full lift. Imagine you are trying to pinch a quarter between your shoulder blades, squeeze it and don’t let it go until your set is complete. As you lock your bench out, concentrate on locking your elbows, don’t press the bar up. Practice this technique from your first warm-up to your heaviest set. Done correctly, it can add weight to the bar in your next bench session. A few years back I was reffing a powerlifting meet, and a kid benching got crushed by his second attempt. He was going to pass on his 3d attempt, I wouldn’t let him. I made him put in his attempt, and gave him these CHEST UP tips, and he killed it on his third. It reduces the range of motion you’re lifting. 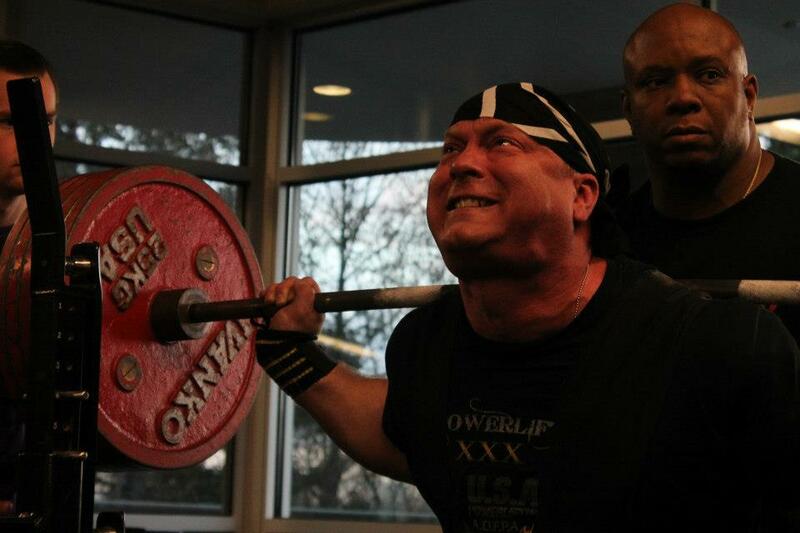 As a powerlifter, a shorter range of motion increases the amount of weight you can lift. That being said, for most lifters keeping your chest up limits your range of motion to a useful range of motion. In other words, you could move the bar farther, but the additional motion is not effectively building power or mass. It increases the stability of your bench. Driving your chest up and keeping it there throughout your repetitions significantly increases the stability of your upper body. When done right (and in conjunction with my other Big Bench Tips), your entire upper body will be tight, you will control the weight to your chest, the bar touches your chest without sinking in, and drives explosively off your chest. Keeping your chest up expands the area over which your pecs stretch as the bar comes down. This can increase the power of the stretch reflex*, helping you drive the bar more powerfully off your chest. As a muscle stretches out, it has a reflex in which it tries to contract. You can take advantage of this stretch reflex by driving the bar up powerfully in conjunction with your pectoral and triceps muscles attempting to contract involuntarily giving you more explosive drive off your chest. If you let your chest collapse, you lose some of this energy with your chest sinking as you attempt to drive the bar up. Driving your chest up and expanding the area over which your pectoral muscles must stretch can increase the power of the contraction, increasing the drive off your chest (this is purely my own observation, but check it out). What does keep your chest up mean? I’ve covered a bit of why you want to keep your chest up. Now how exactly do you do it? Chalk your shoulders and plant them firmly on the bench. This will help keep your shoulders from sliding as you drive your chest up. Plant your feet firmly on the floor. Drive through the balls of your feet and push your hips towards your shoulders. This will result in an arch in your lower back. Maintain this pressure and arch throughout the lift. Take a huge breath of air before you start bringing the bar down and hold it – don’t breath in as the bar is coming down, this will prevent you from filling your lungs completely. Hold the air in your lungs until the bar passes your sticking point on the way back up, and exhale through lockout. Keeping your chest up, a simple technique you can use to add pounds to your bench press even without increasing your upper body strength. Why use resistance bands with your squats? Accommodating resistance with bands or chains can help you make considerable strength gains. As you complete the concentric portion of your lift (come back up), your leverage improves making the lift easier. Your body’s mechanically advantage allows you to handle more weight at the top of the lift than you can in the hole. Both chains and bands increase in resistance as you near the top where you hit the stronger region of your lift. Although chains add a considerable cool factor – they look cool, they sound cool, and they are just all around cool – band tension increases at a considerably faster rate as you pass the sticking point and approach lockout. Chains increase in weight linearly as more chain is lifted from the floor. Bands add a great deal of instability to the bar. Controlling the weight takes considerably more effort than walking out a regular squat bar. The effort required to control the weight forces you to strengthen your stabilizing muscles and will help develop greater core stability. 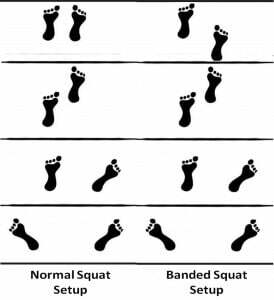 Who should do banded squats? 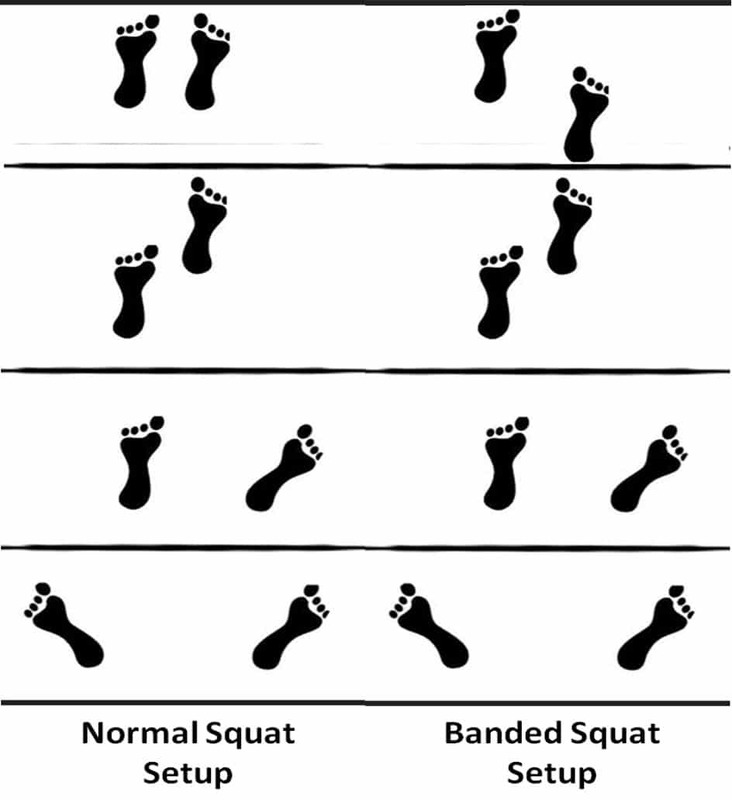 The more appropriate question is who should not do banded squats? 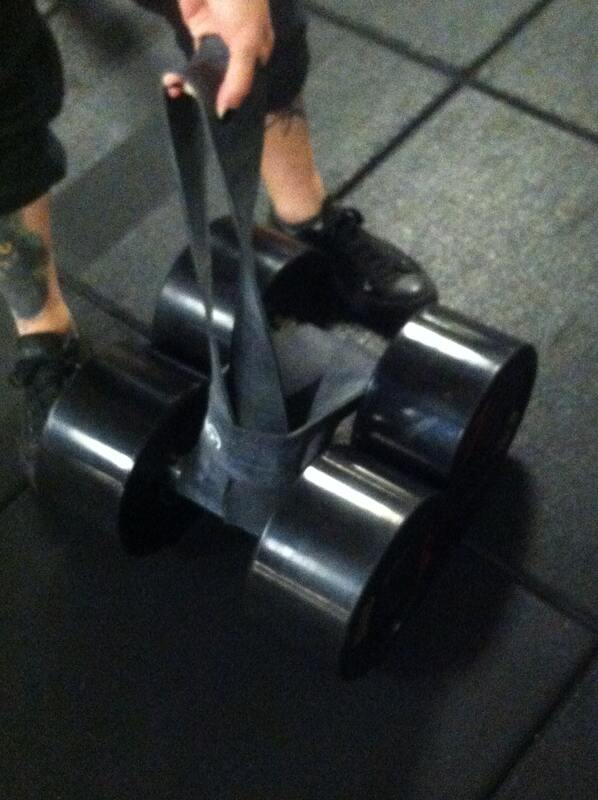 Banded lifts are not for beginners. You should have a solid strength foundation, good control of the weight throughout the full range of motion, and sound technique before attempting banded squats. If you don’t have great technique and control, adding the instability created by the bands can increase your probability of injury. Until you have mastered them, stick with the basic lifts. Best case, you have a squat rack with pegs built for bands. You can adjust the amount of tension created by the bands by adjusting the length of the bands you use in the setup. If you don’t have band pegs on your squat rack, using dumbbells is an easy way to set up your bands, although adjusting the band length used in the setup isn’t quite as simple. A couple pointers for using dumbbells: make sure the weight of your dumbbells is greater than the tension the bands create at the top of the lift; set a small weight plate in front of and behind the dumbbells to keep them from rolling. Squat Setup:Setting up for the squat is much like setting up for a normal squat with two major differences. As soon as the bar comes out of the rack, the bands are going to pull you backwards. Instead of unracking with both feet directly under the bar, start with one foot slightly back so you can brace yourself and keep the bands from pulling you back (see video) below. It is critical to set up so the bar is directly in line with the point the bands are anchored. If you set up ahead of or behind the anchor point, the bands will pull you forward or back, out of your groove. A trick I just picked up is to draw a chalk line on the floor aligned with your band anchor to help you position yourself correctly. Follow the steps for a proper squat setup. Because of the instability created by bands, a solid setup is even more important when squatting with them. The eccentric portion for banded squats is technically no different than a normal squat. It’s even more important with bands to remain very tight to prevent the bands from pulling you out of the proper bar path. If you do find the bands pulling you out of the proper path, check to make sure that you are aligned with the anchor points. 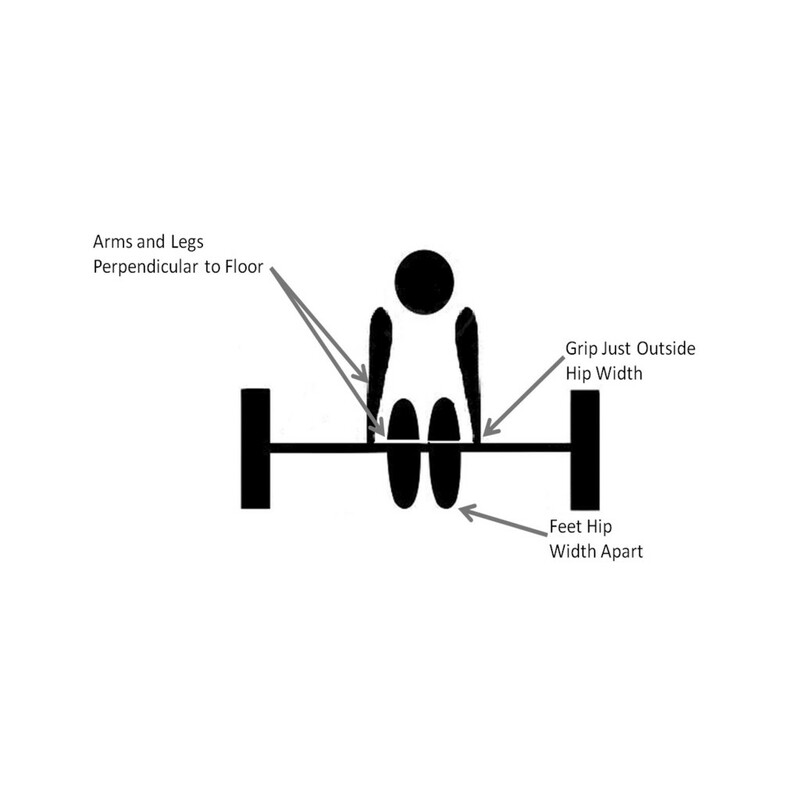 As the graphic above indicates, the band tension will be low at the bottom end of the squat, and will increase rapidly. It’s important to drive explosively out of the hole and build enough momentum to help you move past the sticking point and lock your squat out as band tension increases. As you get to your sticking point, the bar may slow, and come to a near stop. Keep driving with all your power to overcome the tension – this will train you to grind through the tough lifts. Whether you’re an equipped or raw lifter, whether you compete or just like being big, bad and strong, used correctly resistance bands can help you build new levels of strength. Note: Gauging the tension added by bands is not an exact science. EliteFTS has, however, provided band calibrations you can use as a reference point. Week 8: Week 8 finishes off the program with a devastating amount of volume. Weight is moderate, volume is very high. Pull-up strength is tested, let’s see if you’ve improved. Warm-ups: Warm up your upper body with some shoulder pre-hab work. If you want to continue or accelerate your pull-up progress, consider doing your pull-ups more frequently each week, at the beginning of a workout. Get a good drink of water before you start these sets, you won’t be unstrapping from the bar until you’re done! If your set takes 5 seconds to complete (likely your first 5 sets or so), you will have 25 seconds of rest, if your set takes 20 seconds to complete, you will have 10 seconds of rest. Equipment: Use wrist straps, you will need them. If you do these right, your grip will be smoked even using straps. Second Dumbbell: Use a dumbbell about 20% less than the first (if your 10RM is 150lbs your second dumbbell should be about 120lbs; if your 10RM is 30lbs, your second dumbbell is 25lbs…and you likely haven’t been doing BWOW for very long). Equipment: Use wrist straps for this exercise, again, you will need it. Keep your technique strict. Limit your use of upper body momentum for both the curls and lat pull-downs. Ok, I’ll be honest. The intent of this workout is to completely smoke your upper body. Your back and biceps should be totally exhausted when you’re done, and your conditioning should be taxed as well. Enjoy! Week 7: Week 7 focuses on lifting more weight and building strength. Weight is kept high, volume is moderately high. Pull-up strength is addressed by performing pull-ups prior to rowing exercises, and performing pull-ups with added weight. Pull-ups: We’re working on increasing pull-up strength, so we start your back workout with pull-ups, all sets will be with added weight if possible. Set up your weight without collars for quick weight changes; use two training partners to change the weights for you. Start with your 1RM, and row to failure. Rack the bar and have your partners change the weight to your 3RM, and continue rowing without rest. Don’t take your hands off the bar or unwrap them if you are using wrist straps. Row to failure. 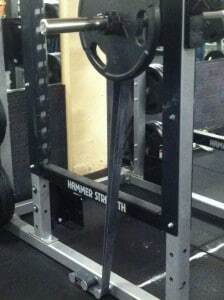 Rack the bar and change to your 5RM and row to failure. Rack the bar and change to your 10RM and row to failure. Weights don’t have to be strict selections; select weights you can easily change quickly. Set 5: Until you (nearly) regret googling BWOW, and your back and biceps are burning. Note: If your gym does not have heavy enough dumbbells for the massive back strength, a common problem for BWOWers, particularly if you lift in a commercial box, you can wrap a chain around your wrist to add additional weight to your dumbbell rows. Keep your technique strict. Concentrate on initiating the pull-down with your lats, minimize your use of upper body momentum. Complete your curls with proper form, and minimal use of upper body momentum to curl the weight. Concentrate on initiating your row with your lats and squeezing your shoulder blades tightly at the end. Overall volume this week remains close to that used the preceding weeks. Weight should increase somewhat, and work both your back and biceps very well. The problem: Many strength trainers spend hours, maybe weeks, researching the perfect workout or trying out the latest lifting fad. More experienced lifters focus their effort honing in the technique for their squat, deadlift and bench press. Far too many, however, miss one of the most fundamental aspects to lifting big weights – perfecting the setup. The solution: Neglecting your setup is a huge mistake. A proper setup leads to stronger lifts. The setup is the one point in the lift you have the time (and your wits) to enable you to do everything perfectly every single time. To set up correctly your entire body needs to be tight before the bar even comes out of the rack or off the floor. How does a tight setup aid your lift? Efficiency: An improper setup leaves you expending more energy than necessary before even starting to lift. Stability: A tight set up allows you to control the weight easily, giving you greater stability with which to start your lift. The Weight Feels Light: Setting up tightly gives you a mechanical advantage. The weight feels much lighter coming out of the rack, or off the floor. Although it doesn’t matter how heavy it feels, the lighter the weight feels, the more confidently you will attack your lifts. Squat Setup: The idea for this article came up while watching one of my lifters setting up to squat. Before unracking the weight she dropped down slightly, and then slammed up into the bar. Extra movements like this do not help with the lift and by doing so she loosened up before lifting the bar. Keeping your body tight allows you to transfer all of your power from your legs doing the work directly to the bar on your shoulders and eliminates energy leaks. Done right, the bar feels lighter and moves more easily, wastes less energy, and mentally prepares you for your lift. Hand Position: Bringing your hands in closer to your shoulders on the bar increases the tightness of your upper back. Bring them in as closely as your flexibility allows, while still enabling you to drive your elbows forward under the bar as you lift the weight. Bar Position: Bring the bar down from on top of your traps (high bar position) to the shelf between the base of your traps and your delts. Tight Back: Once you have your grip on the bar, and have positioned the bar on your back, squeeze your shoulder blades together to contract your lats and tighten your upper back. Big Air: Take a large breath of air into your lungs, and tighten your core. This will create intra-abdominal pressure, providing stability to your spine. When I get under the bar very very tightly it feels like my body is a loaded spring. Let it go and it drives the bar up easily out of the rack, even with a loaded down bar. For more tips on your squat setup, read ‘A Perfect Setup Leads to a Bigger Squat’. 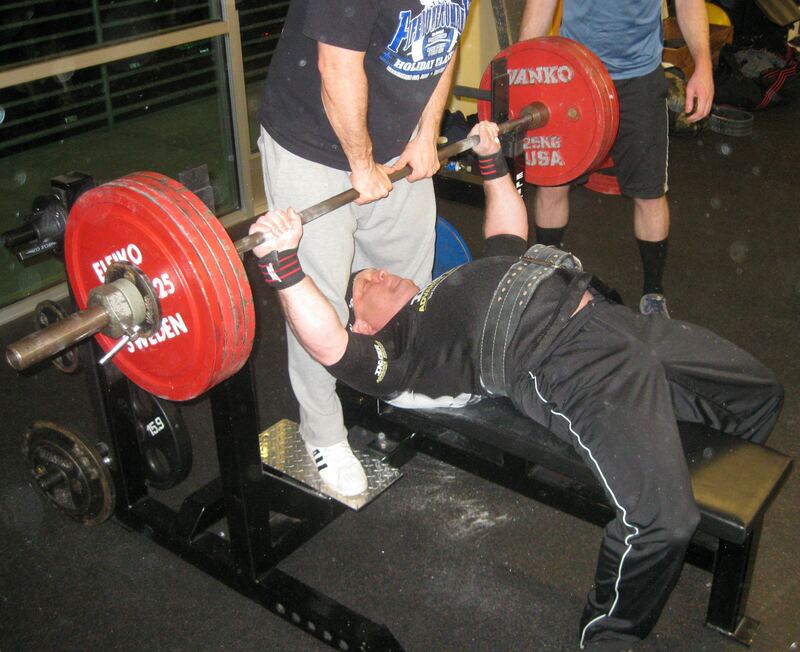 Bench Press Setup: You’ve seen a lot of guys do it, hell I used to this before I knew what I was doing: before unracking the weight, he pulls his body up off the bench and as his shoulders come back down onto the bench he unracks the weight. This is probably the worst thing you can do to prepare for your bench press. Before unracking the weight you want to have your body in the perfect position and completely tight. There is no way to properly set up with a moving target! Shoulder Position: Place your shoulders on the bench and squeeze your shoulder blades together tightly. Think about trying to squeeze a quarter between your shoulder blades and holding it there throughout your full set. Leg Drive: Place your feet under your knees with your toes pointed slightly outward. Push through the balls of your feet driving your hips towards your shoulders. This will push your lower back into a slight arch, and it will tighten your entire body from your toes through your traps. Maintain your leg drive throughout all reps in your set. Note: If you have lower back issues, consult your doctor before benching with an ‘arch’. Lock Your Elbows: Squeeze the bar tightly, and try to lock your elbows before unracking the bar. You want to be able to bring the bar straight out over your chest, instead of lifting the bar up then bringing it out. This works best when you have a bench with adjustable height. With the perfect rack height you can nearly lock your elbows before coming out of the rack. Your spotter should have to just bump the bar up slightly, then help you guide the weight straight out, at which point you’re already locked out and ready to begin your first repetition. Deadlift Setup: Deadlift setups are the trickiest. I watch deadlifters squat down to the bar loosening their entire upper body, and then jerk up as hard as they can to pull their new PR. Let’s look at this approach – loose upper back, heavy weight, jerking the bar with all their strength. Let’s say you’re going to tow your friend’s car out of the ditch with your Chevy. Do you connect the chains between the vehicles leaving 30’ of slack, then floor it getting your truck up to speed before the chain tightens and jerks the bumper off your friend’s car? My first thought is usually ‘well they won’t be wasting space in my gym too long’. Big Air: Take a deep breath into your lungs and tighten your core. This will create intra-abdominal pressure which stabilizes your spine. This is best done before you drop your hips down into the starting position. Once you drop your hips you will be unable to pack your lungs full of air. Tight Back: Squeeze your shoulder blades together tightening your back. 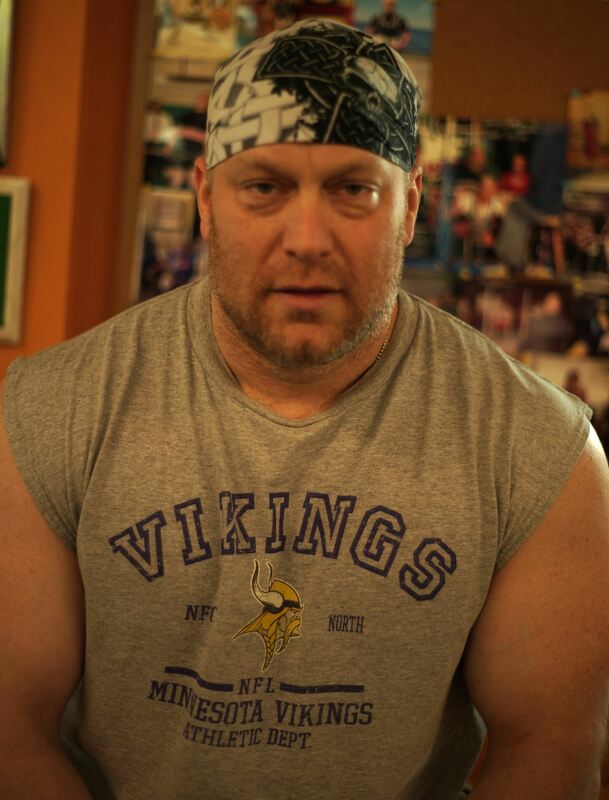 As opposed to your bench press technique, where you try and pinch a quarter between them, try and tuck your shoulder blades down into your back pockets. This will reduce the shortening effect on your arms while still allowing you to tighten your upper back (shorter arms equals a longer range of motion). Pull the Slack out of the Bar: Pull upward on the bar before starting your deadlift eliminating any slack between you and the bar. You should have a smooth, strong pull when you start your deadlift, and not jerk the bar upwards. Don’t Squat to the Bar: Rock back bringing your hips down and your head and chest up. Keep your back tight and upward tension on the bar as you rock back, dropping your hips to the starting position. Don’t squat down to the bar letting your knees drift forward over the bar and loosening your back and arms. A tight setup on the deadlift allows you to transfer all of your pulling power directly from your legs to the bar. It allows you to turn your upper body into a solid lever, minimizing energy leaks as you begin your pull. I probably frustrate many of my lifters. When squatting I’ll make them rerack and start over several times before they even take their first repetition, but the setup is that important. A proper setup can easily be the difference between a missed lift and a new personal record. Week 6: Week 6 increases the weight to be lifted, and maintains a relatively high volume of heavy sets. Weight is increased and volume remains moderately high. This should be a challenging week. Pull-ups: We’re working on increasing pull-up strength, so we start your back workout with pull-ups, and use added weight where possible. Set 5: Until you feel like puking, and your back and biceps are burning. Keep your technique strict. Concentrate on initiating the pull-down with your lats, minimize your use of upper body momentum to cheat. The weight this week should be challenging, and the volume should leave your back and biceps completely spent. Try and push the weight up above your previous maxes, without sacrificing technique.